A new initiative, the Rocinha By Rocinha Project, hopes to boost tourism to one of Rio de Janeiro’s largest favelas and was created earlier this year by a small dedicated team of young people, all living in Rocinha. The project hopes to start a cultural exchange between residents and domestic and foreign tourists visiting Rio. 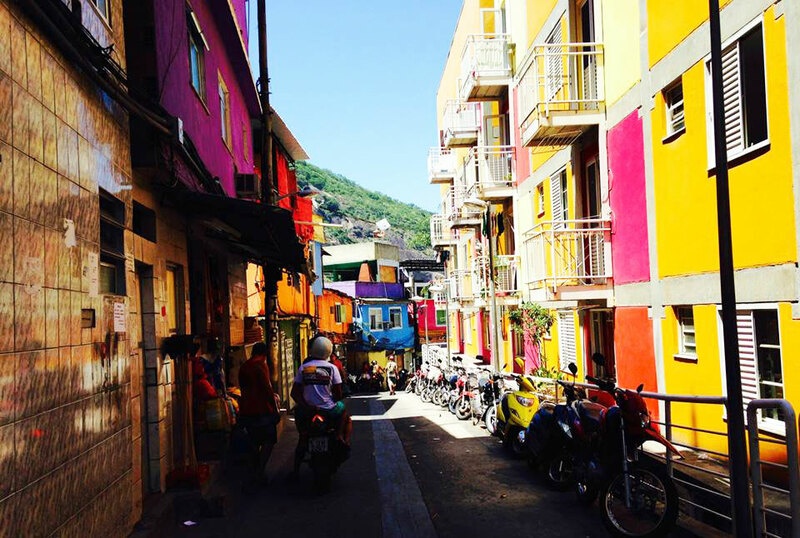 Rocinha By Rocinha has adopted a tourist concept largely used in European countries: the free walking tour. At the end of the guided tour, the visitors then have the option of making a voluntary contribution according to how much they want and can afford. All generated funds go directly to the guide that is doing the tour of the day. The same procedure is adopted for the charged packages, such as the tour to the Dois Irmãos mountain and a tour of Rocinha by night. “We want to show what the culture of Rocinha has to offer and to give a true feeling of what its like to be part of the community,” explains one of the founders of Rocinha By Rocinha, Erik Martins. Erik leads the team formed by five other guides, all with excellent knowledge of the community, good English and a willingness to become entrepreneurs, and help Rocinha to prosper. “Our tours cover the recent initiatives that are improving the conditions of the slums, but also reveal the locations that still lack of zeal. We don’t want to hide what saddens us, but explain everything that is beautiful and culturally rich around us, as some fascinating panoramic views that fill us with pride”, Erik explains. Rocinha By Rocinha has the support of a group of voluntary international consultants who are helping to organize and publicize the work and created the Rocinha By Rocinha website and helped develop a solution for the guides to accept payments from international credit and debit cards. The Swedish company iZettle, one of Europe’s leading providers of mobile payment services and apps, is a partner of Rocinha By Rocinha and this allows foreign tourists, not always with cash to hand, to be able to pay securely by card. Operating in Brazil since August 2013, iZettle is now helping entrepreneurs and professionals from nine countries to accept payments on their smartphones and tablets. Reservations for Rocinha By Rocinha can be made ​​through the website or by email to tours@rocinhabyrocinha.com. This entry was posted in Brazil, Rio de Janeiro, World Cup 2014 and tagged Brazil, favela, Rio, Rio de Janeiro by Critical Divide. Bookmark the permalink.